USDA Demo Garden in Washington D.C. The People’s Garden @ USDA in Washington D.C. from genomic gastronomy on Vimeo. The audience had some great questions about emerging agricultural bio technologies. It was exciting to be able to talk to an audience of hackers, because we at the Center see a ton of parallels between the early years of phreaking and hacking, and what is currently happening in the world of biotechnology and biohacking. One audience member had a really nice suggestion that people should get together to create an Electronic Frontier Foundation (EFF) for BioHackers. Maybe it could be called The Genomic Frontier Foundation (GFF): Defending Freedom in the BioTech Century. However, the space of biohacking is so murky at this moment it is unclear what exactly it would be defending. I think we can safely say that a GFF would work towards removing unnecessarily restrictive IP regimes which prevent legitimate researchers and hobbyists from building on previous work. So far the BioTech Industry has attempted to create strategies for genetic copy protection such only hacking hybrid plants, terminator gene style technologies and terms of service outlawing breeding each paralleling the way the Entertainment industry has tried to control its content. Perhaps young BioHackers could draw on the ideas and strategies of computer hackers in making inquiry and information sharing as open and free as possible. In order to make the topic of Genomic Gastronomy relevant to the hacker community the talk tried to make case that studying and understanding the historical and technical precedents of agriculture and genetic engineering will make us more informed and sophisticated community of biohackers. For example, hackers and phreakers who understand the technical specs and historical precedents that have defined the way that information flows through a system can explore and interact with more parts of a system and probe for exploits. 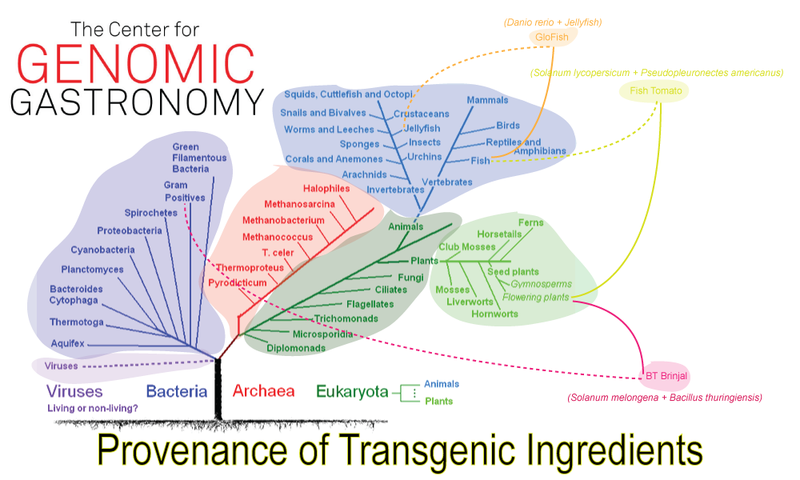 Databases like the Information Systems for Biotechnology are a treasure trove for BioHackers who seek to understand how and why industry and government have focused on certain genomes or technologies at the expense of others, and how these initial conditions have defined boundaries of exploration that can be overcome with curiosity and ingenuity. After spending the last few days reflecting on discussions with audinece member and reading entries from Dear Hacker, the above statements could be revised. – Biotech is the Future That is actually a technoutopic industry-hype statement. (Humans have been co-authoring the BioTech future since at least the advent of agriculture). One of the points that the Center has continuously made is that Permaculture and Organic farming are also forms of BioTechnology. Don’t believe the hype of a BioTech Panacea, just make informed decisions about how to deploy and hack the range of biotechnological systems available to improve the conditions on planet earth for human and non-humans. – There is no Honeymoon. The Center had assumed that there was some sort of honeymoon period for phone and computer hobbyists where everything was open and free before it was commercialized. 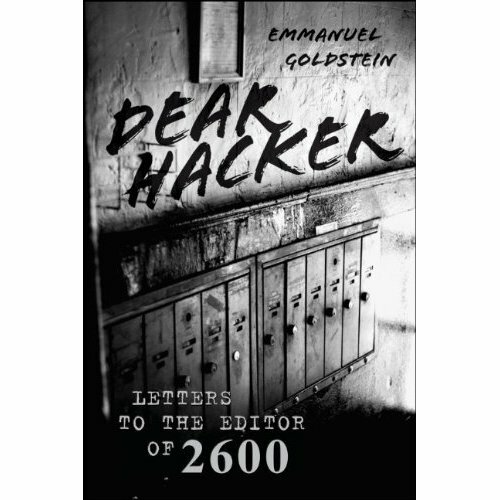 And while the world wide web of 1998 is a very different place than the web of 2008, Dear Hacker and 2600 are both reminders that the free spaces were only carved out by curiousity and vigilence. There was no “honeymoon” for computer hackers, and there certainly doesn’t seem to be one for BioHackers. – The BioTech industry is already consolidated and information and access are difficult to come by. This still seems true, but there are lot’s of great organizations such as DIYBio, iGEM, OpenPCR, Hackteria, Center for Post Natural History etc. trying to reverse this trend. – There is a rich but invisible history of technical and cultural detail for biohackers to mine. Yes, but we need to find better resources and organize and visualize them in ways that make them useful to a larger number of curious BioHackers. There may be a video of the talk floating around somewhere which we will post as soon as we are able to locate a copy. There were two other excellent food related talks at the conference. Gweeds from Food Hacking introduced his new project Food Genome, and served up some Sausage + Star Anise Fruit RollUps to the Audience while talking about Black Hat Food Hacking. Jeff Potter who wrote Cooking For Geeks spoke about hardware hacking Sous Vide cooking, important temperatures and other food chemistry. Inspirational both!